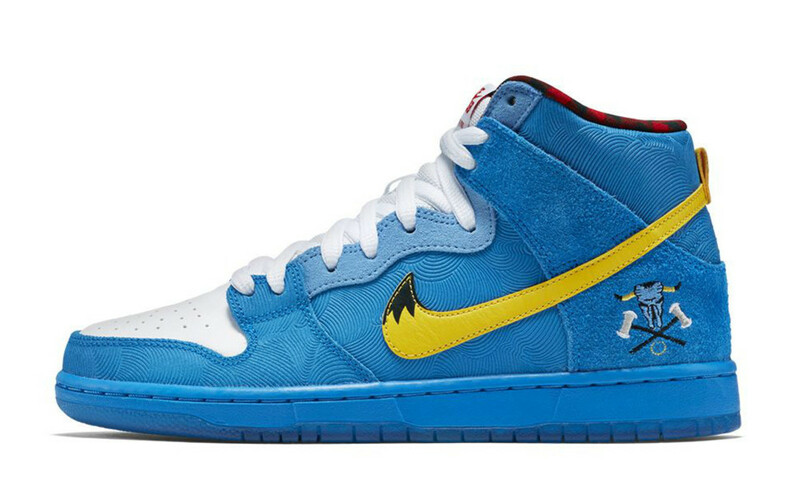 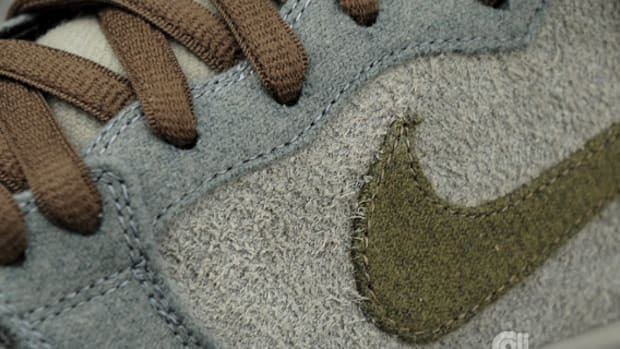 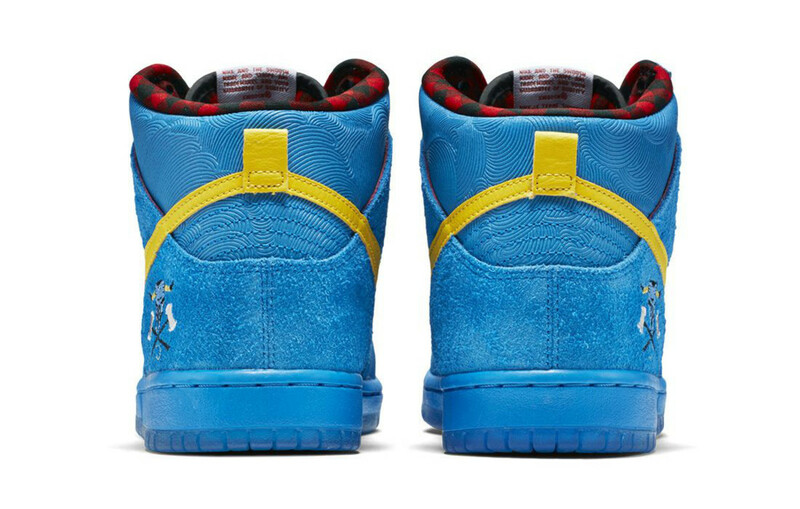 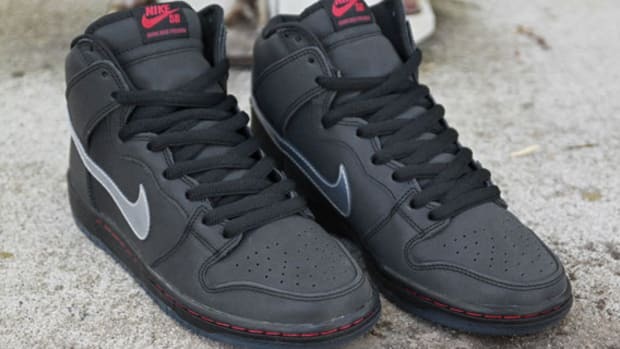 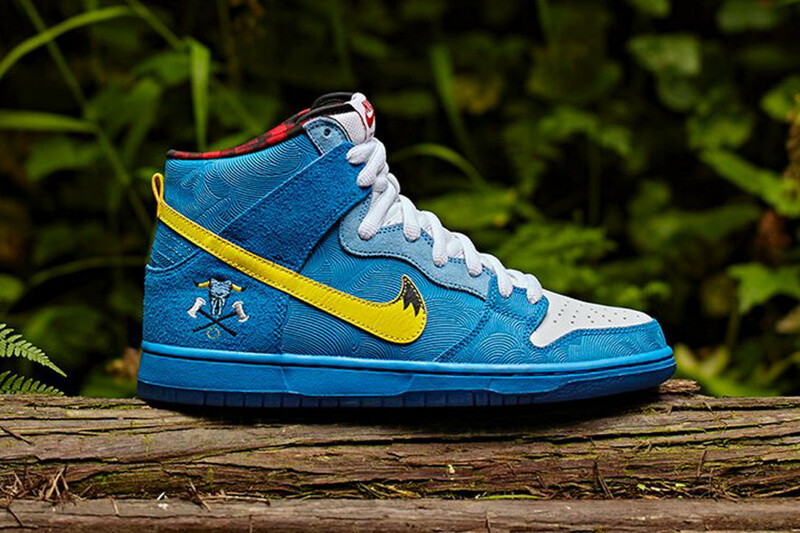 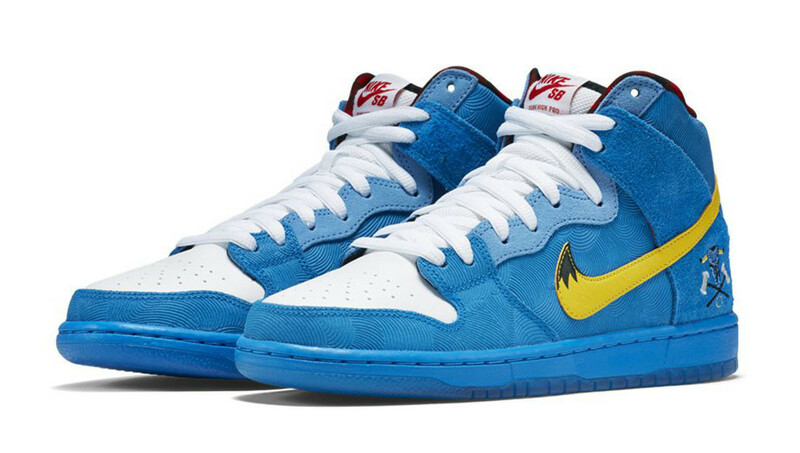 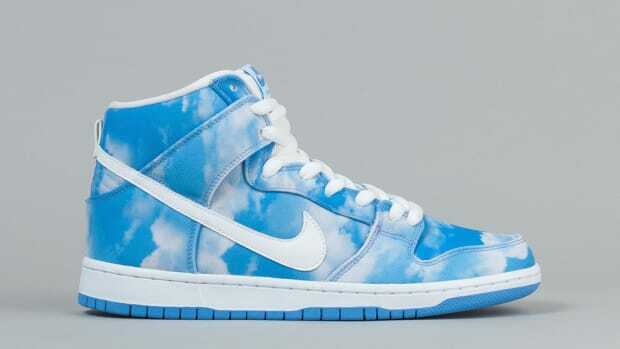 Nike SB teams up with Minneapolis-based Familia Skateshop once again, this time collaborating on a Dunk High Premium inspired by a local famous legend: Paul Bunyan and his trusted blue ox Babe. 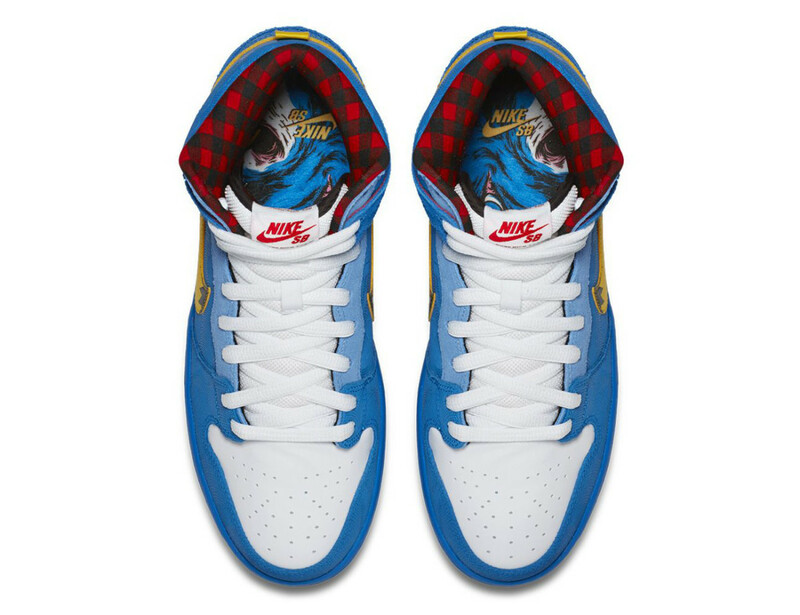 The iconic skate-ready silhouette features embossed synthetic leather paneling on the upper, etched with the swirling texture of Babe’s hide, while the black and red plaid flannel at the collar lining gives the nod to his burly lumberjack colleague. 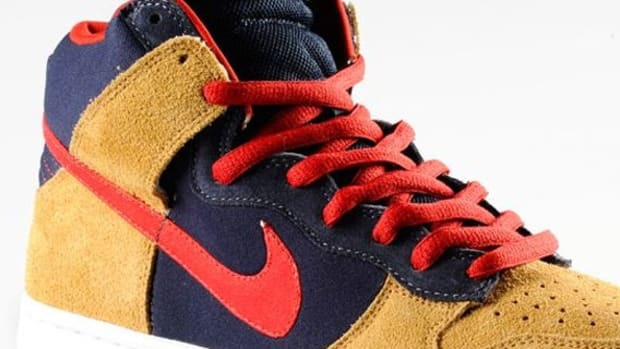 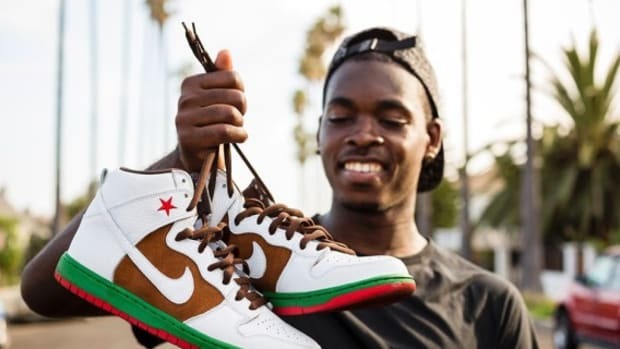 An Ox horn swoosh and a custom embroidered emblem on the heel quarter round out the details. 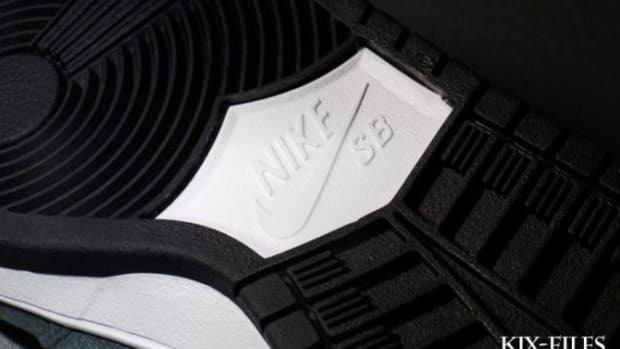 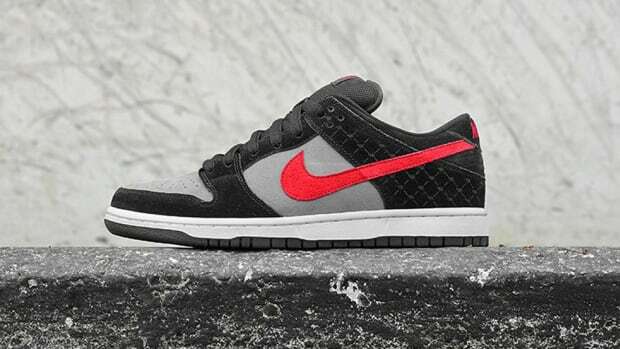 Look for the kicks to launch this Saturday through select Nike SB retailers and online.